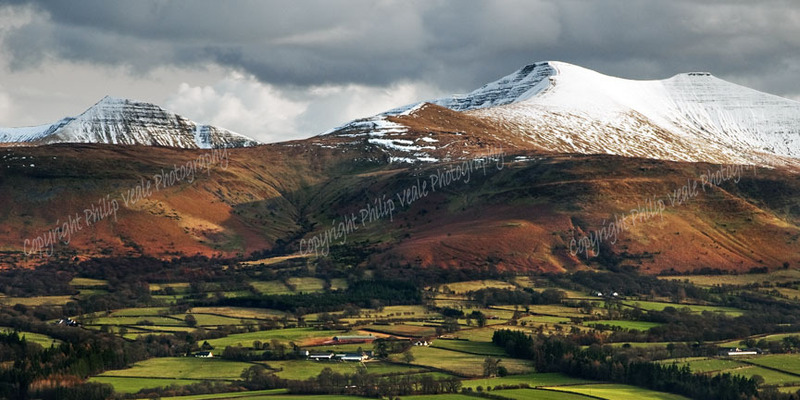 Philip Veale Photography: A snow capped Cribyn, Pen Y Fan & Corn Du in the Brecon Beacons. Limited Edition of 100. A snow capped Cribyn, Pen Y Fan & Corn Du in the Brecon Beacons. Limited Edition of 100. A storm gathers over the snow capped mountains on a cold winter day in the Brecon Beacons National Park of Wales.